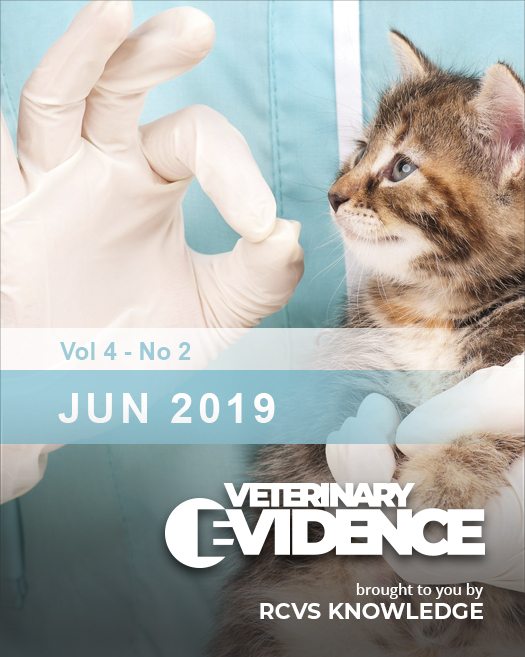 Welcome to the second Veterinary Evidence issue of 2019! Sign up for alerts to keep up to date with the latest content (works best in Safari, IE or Firefox). 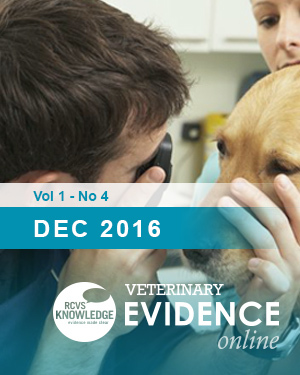 It's free to publish in Veterinary Evidence, to find out more visit our About page. 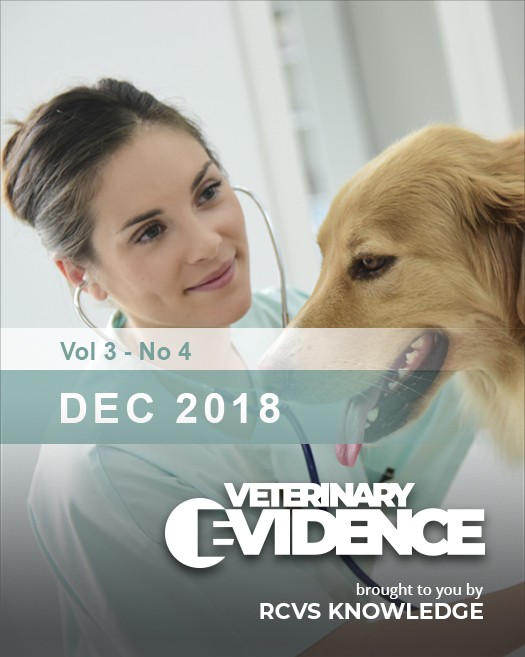 Welcome to the fourth Veterinary Evidence issue of 2018! Sign up for alerts to keep up to date with the latest content (works best in Safari, IE or Firefox). 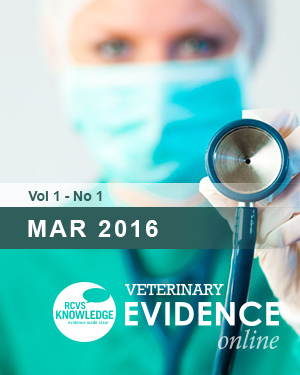 It's free to publish in Veterinary Evidence, to find out more visit our About page. 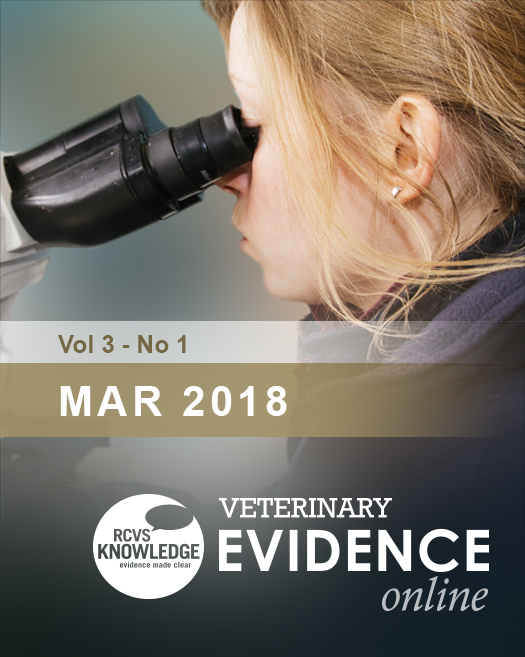 Welcome to the third Veterinary Evidence issue of 2018! Sign up for alerts to keep up to date with the latest content (works best in Safari, IE or Firefox). It's free to publish in Veterinary Evidence, to find out more visit our About page. 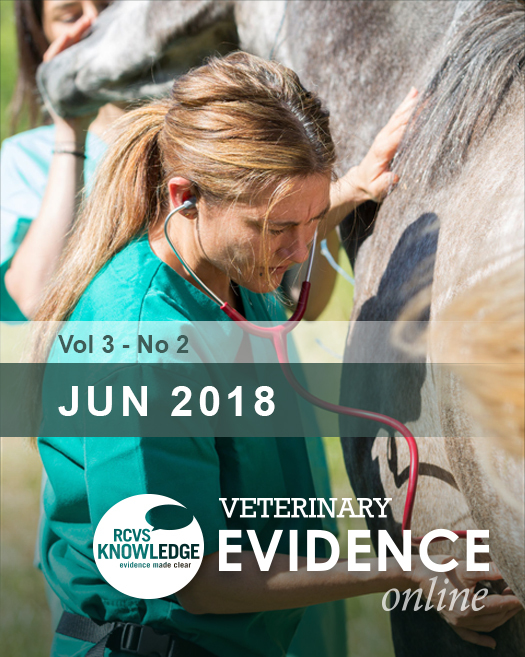 Welcome to the second Veterinary Evidence issue of 2018! Sign up for alerts to keep up to date with the latest content (works best in Safari, IE or Firefox). It's free to publish in Veterinary Evidence, to find out more visit our About page. 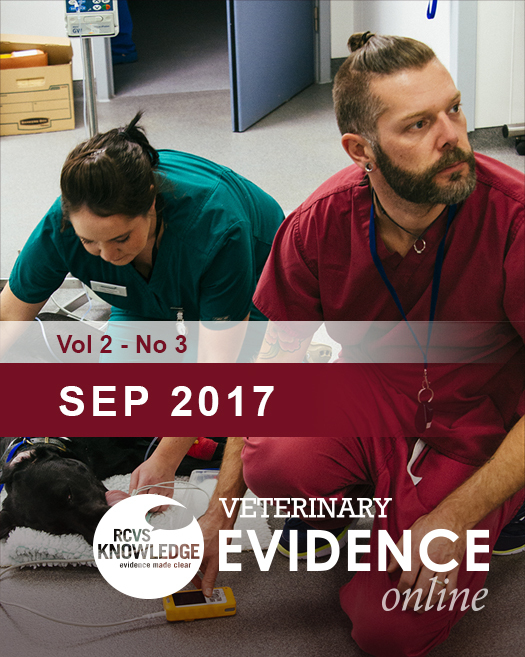 Welcome to the third Veterinary Evidence issue of 2017! Sign up for alerts to keep up to date with the latest content (works best in Safari, IE or Firefox). It's free to publish in Veterinary Evidence, to find out more visit our About page. 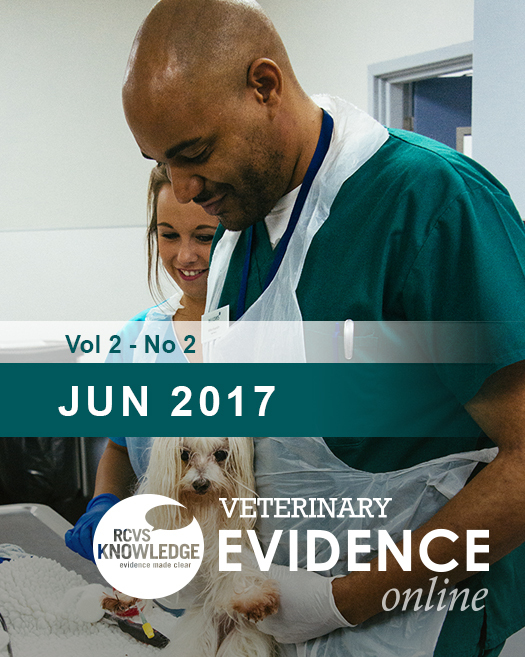 Welcome to the second Veterinary Evidence issue of 2017! Sign up for alerts to keep up to date with the latest content (works best in Safari, IE or Firefox). It's free to publish in Veterinary Evidence, to find out more visit our About page. 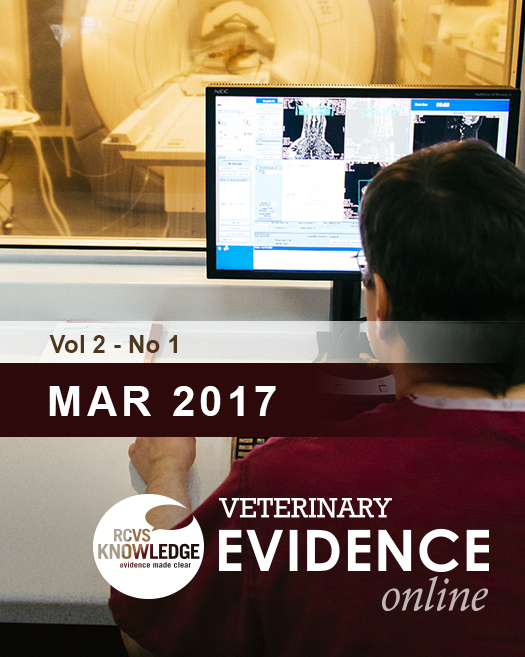 Welcome to the first Veterinary Evidence issue of 2017! Sign up for alerts to keep up to date with the latest content (works best in Safari, IE or Firefox). It's free to publish in Veterinary Evidence, to find out more visit our About page. 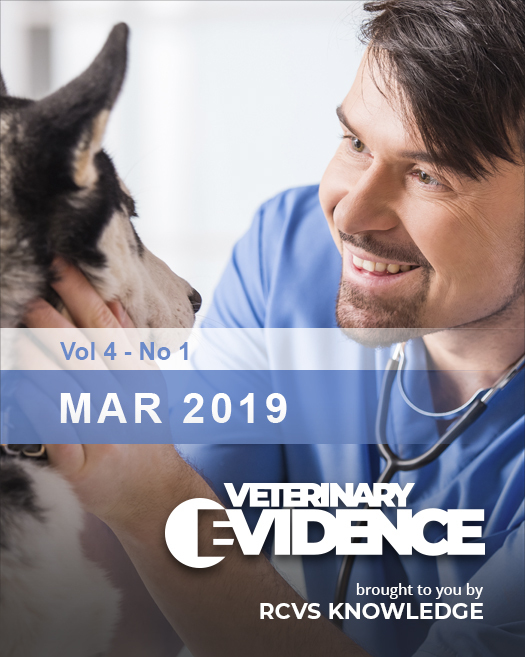 Welcome to issue 4 of Veterinary Evidence! Sign up for alerts to keep up to date with the latest content (works best in Safari, IE or Firefox). 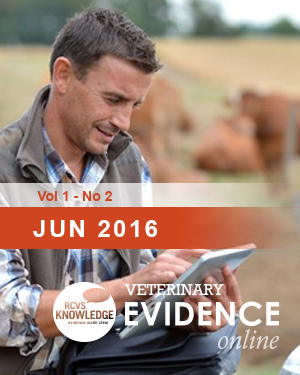 It's free to publish in Veterinary Evidence, to find out more visit our About page. 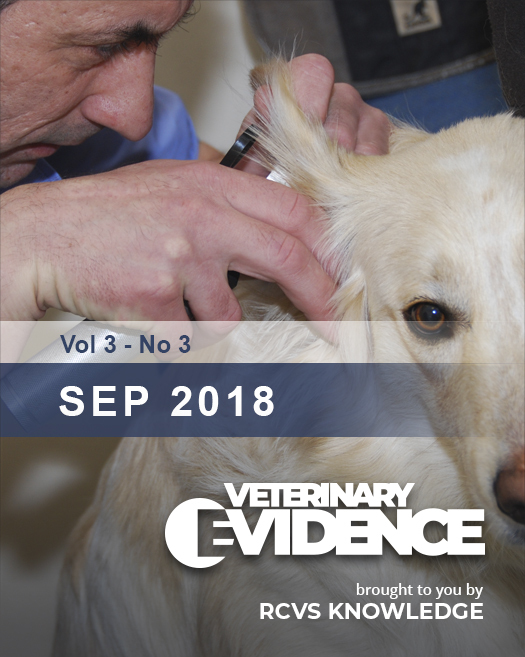 Welcome to issue 3 of Veterinary Evidence! Sign up for alerts to keep up to date with the latest content (works best in Safari, IE or Firefox). 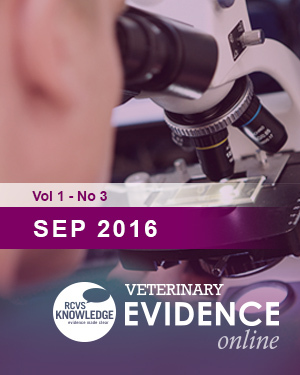 It's free to publish in Veterinary Evidence, to find out more visit our About page. 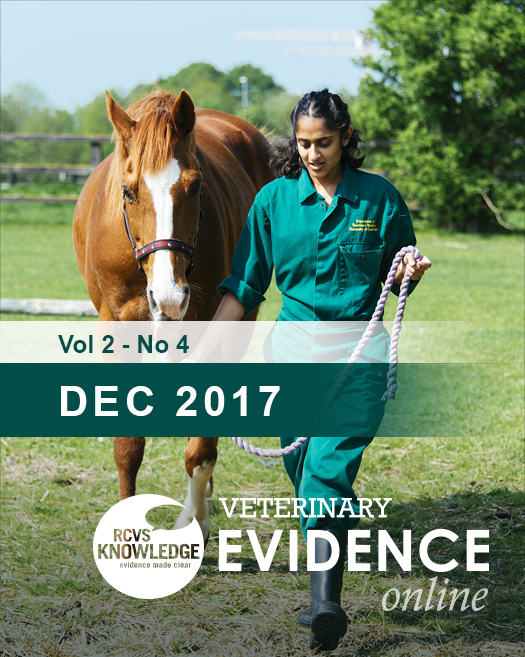 Welcome to issue 2 of Veterinary Evidence! We are continuously publishing open access content - to be notified every time new content is added to this issue, sign up for content alerts (works best in Safari, IE or Firefox) and follow us on twitter!